Of all the local apps I’ve used to discover new restaurants and find other services, the Foursquare database, or “discovery engine,” has some of the best local information. Compared with Yelp, Google+ Local and others, I’d say Foursquare is better at finding a good restaurant or hotel than the other travel apps in this guide. The secret is the “check-in,” which I feel is more reliable than reviews. Most apps highlight customer reviews to help you choose a new place to eat. But reviews are flawed. The good ones are often faked, bought by establishments trying to increase business with positive reviews. And the genuine reviews are mostly negative. That’s because most people don’t take the time to leave a review unless they’re upset about something and want to vent. I look at check-ins. If a restaurant has no reviews but hundreds of check-ins, especially by different people, I’ll take that over one that has great reviews but only a few check-ins. It only takes one tap to check-in to a place but a review takes time. 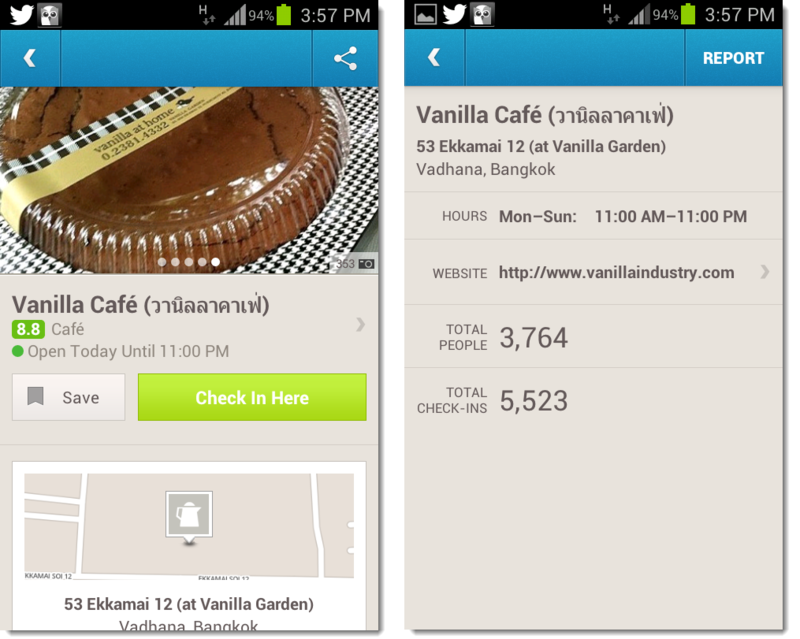 If you see a place that has a ton of check-ins compare to others in the area, it’s probably a good place to check-out. If you want to know where the locals eat, there’s no better app, especially if you’re in a non-English speaking country were you can’t read local reviews. 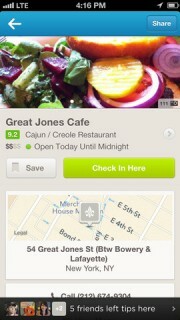 There is also a game aspect to the app, which is what originally put Foursquare on the map. You can earn points and cool badges that are displayed in your trophy case. You don’t have to play the game to use the discovery engine. However, I check-in as much as possible to contribute to the community and make the database better. Some savvy business owners offer rewards for customers who have earned mayor for their venue. Mayors are people who check-in the most at a particular venue. So, it does pay to check-in.